VN-Index, a measure of 246 companies and four mutual funds listed on the Ho Chi Minh Stock Exchange, fell to below the psychologically supportable level of 500 points on July 7 as buying demand failed to prevent stocks from plummeting. Vietnam’s benchmark finished at 496.91 points, giving up 0.78 percent, or 3.91 points. Around 46.4 million shares changed hands, worth VND1.28 trillion. Of the index, 56 stocks advanced, 150 retreated, while 44 treaded water. Saigon Thuong Tin Commercial Bank or Sacombank (STB) was the most actively traded share by volume with 1.87 million changing hands. The company’s shares lost 17.87 percent on July 7, which is its ex-rights date. Sacombank will close the list of shareholders to new investors by July 9, in order to pay dividends and issue additional shares for current shareholders. It will release 234,512,355 shares, of which 100,505,295 will pay dividends for the year 2009, at a ratio of 15 percent. The rest will be sold at a price of VND12,000 per share with a ratio 10:2. Société De Bourbon Tay Ninh (SBT) came in next with 1.82 million shares, followed by Thuan Thao Corporation (GTT) with 1.45 million shares. 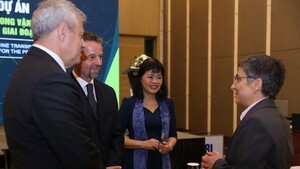 On July 1, BIDV Financial Investment Joint Stock Company, a major shareholder of Thuan Thao Corporation (GTT) sold 3,470,400 shares, sending its holdings to 81,000, accounting for 0.28 percent of the company’s chartered capital. Hoa Binh Construction & Real Estate Corporation (HBC) sank 11.31 percent to VND34,500. The company will pay dividends in cash at a rate of 12 percent on August 5. Later, it will issue 1,461,954 additional shares to pay current shareholders’ dividends, at a ratio 10:1. 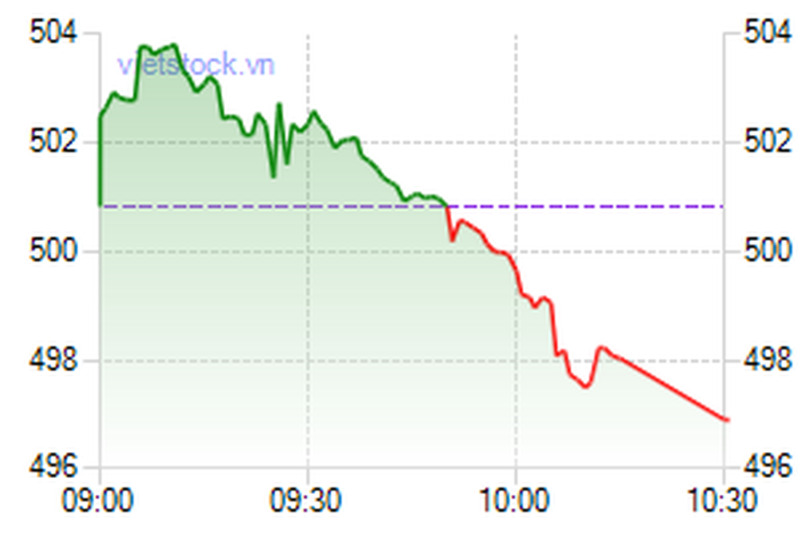 Idico Urban and House Development Joint Stock Company (UIC) declined for a third straight day, losing 4.97 percent to VND32,500. Among a few gainers, Binh Duong Construction and Civil Engineering Joint Stock Company (BCE) rose 4.95 percent to VND23,300. Chang Yih Ceramic Joint Stock Company (CYC) and Saigon Beverages Joint Stock Company (TRI) both shot up 4.9 percent to VND10,700. Hanoi’s HNX-Index was unsuccessful in protecting its rising trend this trading session, contracting 0.46 percent, or 0.71 points, to 155.09. Trading volume slid over previous day to around 30 million shares, valuing VND868 billion. The UPCoM-Index climbed 0.6 points to 57.52 as of 11:05 am local time. A total of 821,034 changed hands at VND14 billion.